What is the state of The Lutheran Church—Missouri Synod in 2018? Find out in the November issue of The Lutheran Witness. Recently, for fun, I pulled out and paged through a box of archival LWs published in the year I was born. photos or the humble newsprint, but the content. So much of what I was reading felt almost eerily familiar. I noted Robert Kolb’s name among the essayists; Herb Mueller’s among the notices. I saw the words of Martin Luther and C.F.W. Walther pop up with comforting regularity. I read articles on refugee struggles and missionary adventures … on marriage, parenting, aging, stewardship … on Gospel-centered care for the young, the old, the infirm, the unchurched and those of all races and backgrounds. 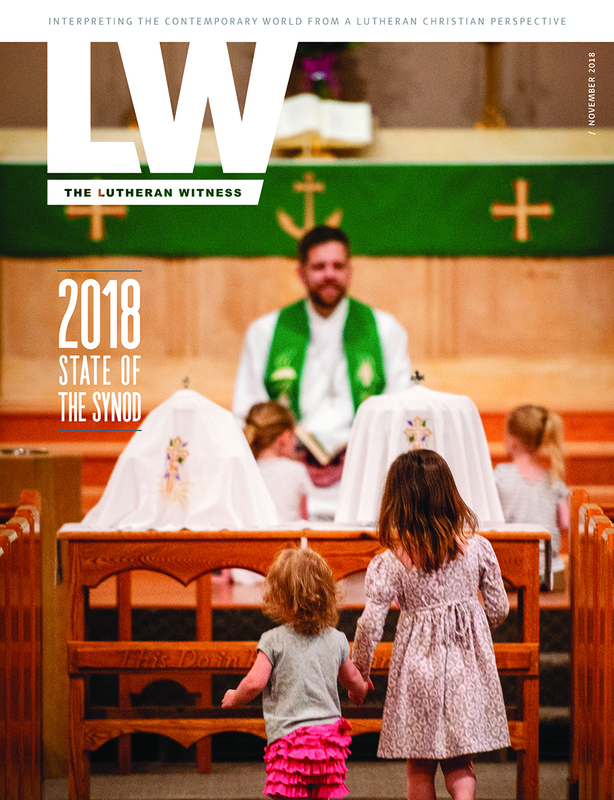 Much has changed since 1980 — I doubt, for example, that we’ll run another article like “Morning with the Moonies” anytime soon — but in essentials, The Lutheran Witness remains the same as it ever was. So too the Church, as you will see in the 2018 State of the Synod report that follows: “What has been is what will be, and what has been done is what will be done, and there is nothing new under the sun” (Eccl. 1:9). As I look back over the past year — and the past four decades — what a comfort it is for me to rest in the certain knowledge that “Jesus Christ is the same yesterday and today and forever” (Heb. 13:8).